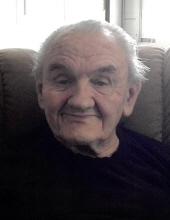 Ralph D. Curtis, 82, of Mansfield passed away January 27, 2019 at his home. Ralph was born October 18, 1936 in Ashland, Ohio. He was a 1954 graduate of Ashland High School and went on to serve with the United States Airforce from 1954 - 1957. Ralph was a painter and contractor for 45 years. He was a loving husband, parent and grandpa. Survivors include his sons Jeff (Nolie) Curtis of Abilene, TX, Chris (Bridgette) Curtis of Beavercreek, Paul Curtis of Mansfield; 10 grandchildren; one great-grandchild; sister Florence Knee; sister-in-law Shirley Schummer; along with other relatives. He was preceded in death by his parents Earl and Pearl Curtis and wife Beatrice. Friends may call at Herlihy-Chambers Funeral Home, 173 Park Avenue West, Thursday from 5:00 - 7:00pm. A Mass of Christian Burial will be celebrated 10:00am Friday at St. Peter's Catholic Church with Rev. Gregory Hite officiating. Military honors will follow with the Richland County Joint Veteran's Burial Detail. Burial will follow in Mansfield Catholic Cemetery. To send flowers or a remembrance gift to the family of Ralph D. Curtis, please visit our Tribute Store. "Email Address" would like to share the life celebration of Ralph D. Curtis. Click on the "link" to go to share a favorite memory or leave a condolence message for the family.